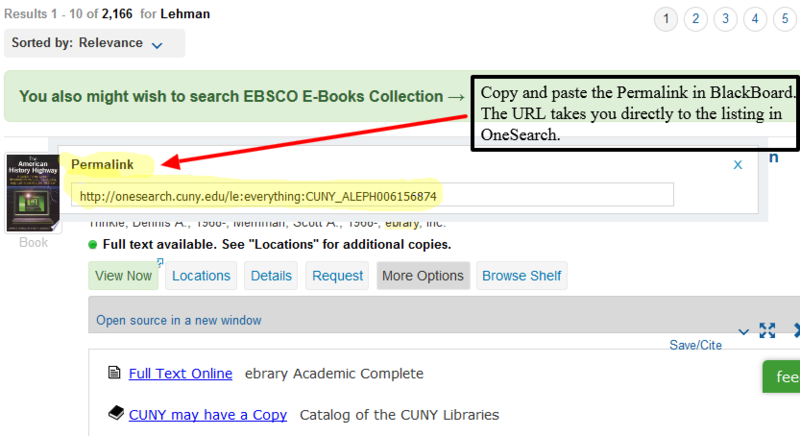 Here is an example of an e-book that appears in Search Results in OneSearch. Follow these prompts to copy/paste a "Permalink" to this e-book so that you can go directly to this book. Faculty: Permalinks can be posted as web links in BlackBoard and listed on syllabi. 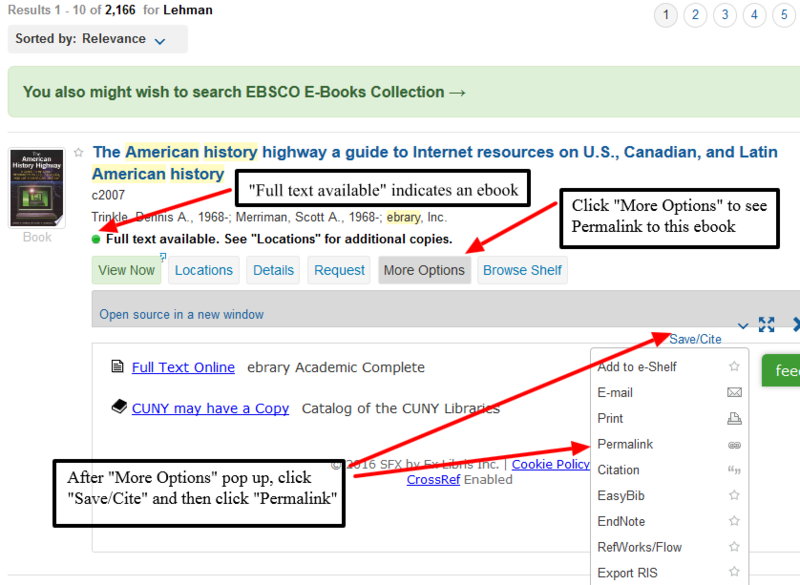 Note: For instructions on how to link to EBSCO E-Books, click here.